The mini-van’s thermometer shot up to 94 degrees as we left leaf-shaded suburbia. We hurried (careful not to exceed the speed limit) into the city, eager for a soft seat in a cool theater at a late afternoon movie, just before the higher evening prices kicked in. We chose “Gonzo,” a documentary about Hunter S. Thompson, a man more than a decade older than us who chronicled our generation in a way we had not quite experienced ourselves. We were happy to go along for the trip, even though we weren’t hurtling down a highway in a convertible Cadillac, fueled on Wild Turkey and weed ala Thompson. We bought our tickets, fumbled for seats in the dark and settled in. 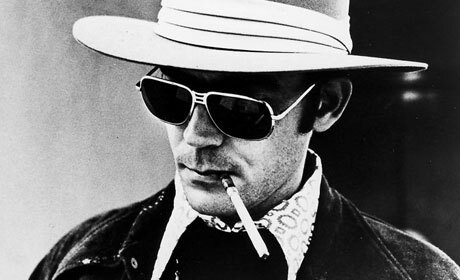 Hunter S. Thompson, Gonzo journalist. 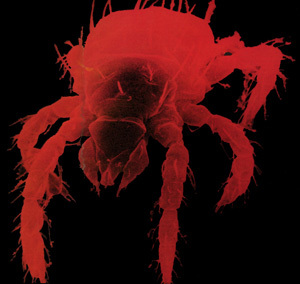 I should have taken this advice about how to avoid chiggers. I’m covered with chigger bites after working in the neighborhood butterfly garden. I haven’t seen any butterflies lately, but I know that the chiggers have found a home there. Charleston, South Carolina is one of the most beautiful cities in the country. Here is a view from beneath the cables of the Ravenel Bridge in Charleston, South Carolina. The Arthur Ravenel Bridge over the Cooper River opened in July 2005. This eight-lane, cable stayed bridge with two diamond-shaped towers allows clearance for ocean freighters to access the port of Charleston, South Carolina. The bridge connects downtown Charleston to Mount Pleasant. It is the third longest cable-stayed bridge in the Western Hemisphere. A small dog on a walk enjoys the brightly colored houses line East Bay Street in Charleston, South Carolina. Thirteen historic houses make up Rainbow Row. Built in the 18th century, the Rainbow Row houses represent the longest cluster of Georgian row houses in the United States. Visitors to the Donald J. Hall Sculpture Park make their way slowly through the Glass Labyrinth. The labyrinth is one of the many sculptures and art pieces on the grounds of the Nelson-Atkins Museum of Art, Kansas City, Missouri. Glass Labyrinth Instructions, History and Details. It was a beautiful day, the first day of September (humid, but you can’t escape that in Kansas City), perfect to explore the 22-acre Donald Hall J. Sculpture Park at the Nelson-Atkins Museum of Art in Kansas City, Missouri. One of the art installations on the museum’s vast lawn is the Glass Labyrinth, designed by Kansas City native Robert Morris. Installed in 2013, the labyrinth is a 7-foot-tall triangular sculpture consisting of one-inch thick glass plate walls topped with bronze. Neither of us had ever explored it before. We watched another person seemingly lost inside trying to make her way out. We stood at the entrance a while, deciding whether we wanted to be trapped inside, too. Pat enters the Glass Labyrinth. Pat entered first. I documented her trek with my camera. Would she ever return? Then I followed in her footsteps. She was hurrying ahead to help the trapped woman. I could see them both, but couldn’t reach them. I love to read everything but instructions, so I entered the glass labyrinth without knowing that you are to make your way to the center of the labyrinth and then retrace your steps to the entrance, which is also the exit. I did read that you need to move slowly, because it’s very easy to bump into a wall when you think it’s an opening. The glass is amazingly clean and clear. It helps to hold out your hand ahead of you. It was very warm inside the labyrinth, and it doesn’t take much to give you a feeling of panic at being trapped. After I reached what seemed to be the middle, I continued on (since I hadn’t fully read the instructions), finding dead ends. I turned around and walked back the way I came, thinking I had cheated by giving up, when I had actually taken the only path to get out. There was the entrance/exit! I was out! Soon afterward, Pat led out the trapped woman. Freedom! I confess I felt a little dizzy. Kansas City native Robert Morris designed this Glass Labyrinth, which is in the Donald J. Hall Sculpture Park at the Nelson-Atkins Museum of Art, Kansas City, Missouri. I’m in the center of the Glass Labyrinth at the Nelson-Atkins Museum of Art, Kansas City, Missouri. You can see a bit of my reflection. Robert Morris Visits His Glass Labyrinth for the First Time: A Slideshow and Article. Click here to read about the Sculpture Park. 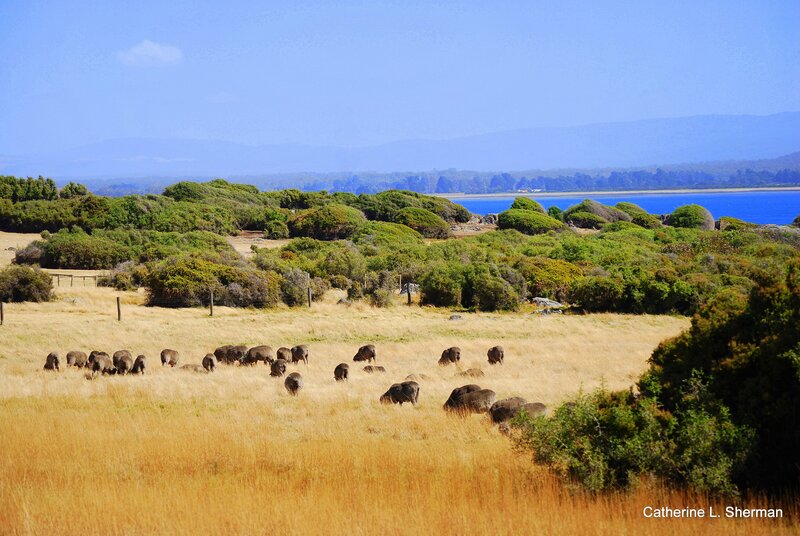 In honor of Australia Day, I’m reposting this post about my trip to Tasmania in 2009. 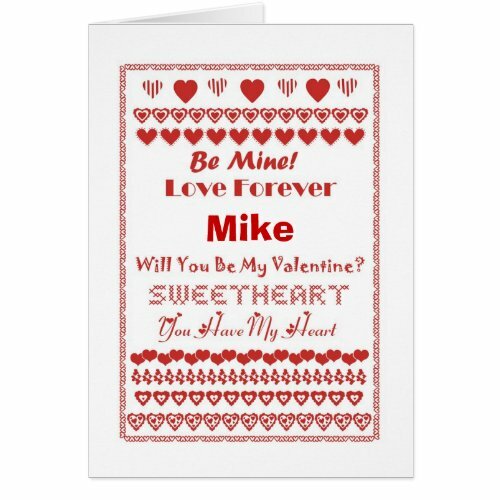 Mike Happy Valentine’s Day Hearts Hearts Hearts by catherinesherman on Zazzle. You can personalize this “hearty” card with any name or relationship! Keep in touch with Zazzle custom greeting cards. Customize all parts of this folded card – inside and out, front and back – for free! 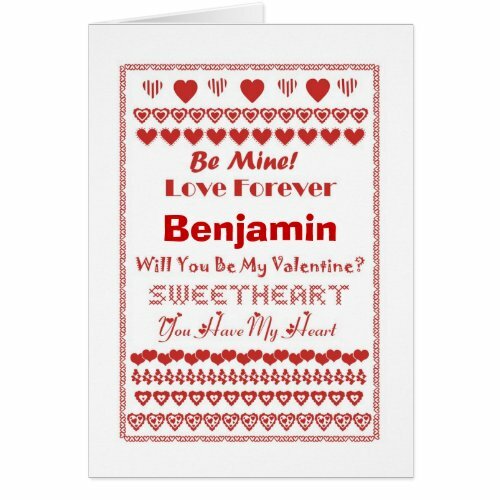 Benjamin Valentine’s Day Hearts Hearts Hearts by catherinesherman on Zazzle. Tim Happy Valentine’s Day Hearts Hearts Hearts by catherinesherman on Zazzle.